Additional Info: Hair straighteners, hair dryer, hoover. Children's safety gate and high chair. A £50 deposit is required on all bookings with in 48 hours of confirmation of dates. This is payable by bank transfer, Paypal or cheque. This secures your dates and if not received dates will be re released. 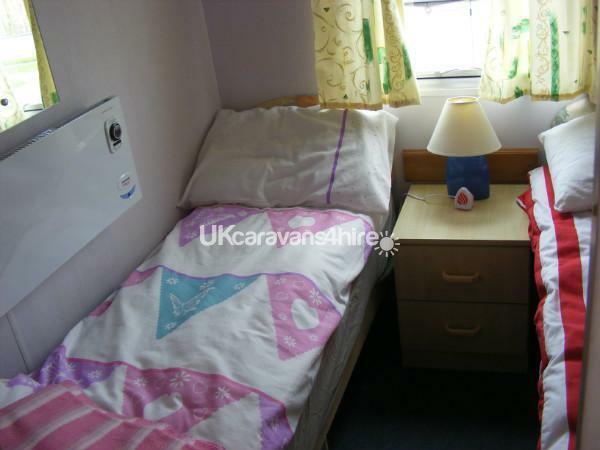 Your deposit is returned within 7 days of vacating the caravan via bank transfere, paypal or cheque. 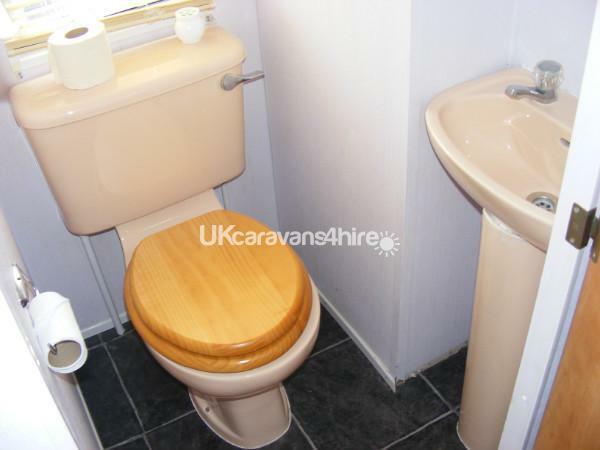 The caravan MUST be left in the same clean condition upon arrival with no damage/loss/lost keys/breakages. The deposit is NON-RETURNABLE upon any cancellations. Your total amount outstanding is then due to be paid in Full 4 weeks prior to your holiday starting without exception and can be paid in one transaction or in installments to suit you. 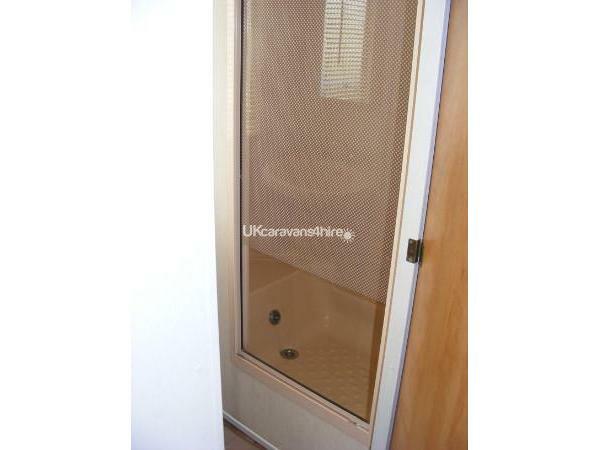 Arrival time is at 2 pm, Departure time is 12pm this allows for the caravan to be cleaned and checked before arrival of next guests. PAYMENT: The balance of the price of your holiday is payable 4 weeks before your arrival date. If your booking is made less than 4 weeks before the start of your holiday, the full price is payable at the date of booking or unless agreed otherwise by bank transfer or paypal. 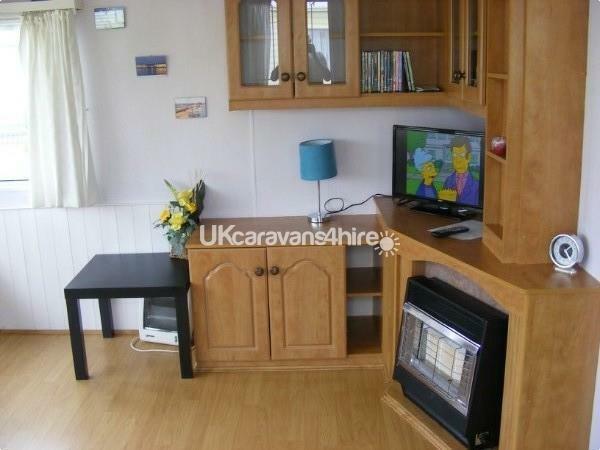 Our clean and well presented 3 bedroom caravan can accommodate up to 8 people. 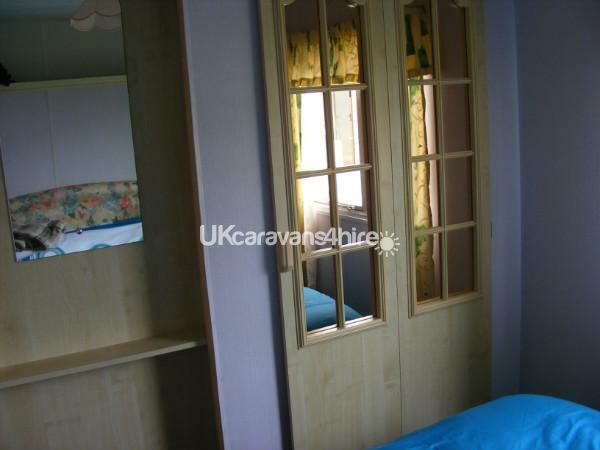 It has one double bedroom, two twin bedrooms and a pull out double bed in the lounge area. 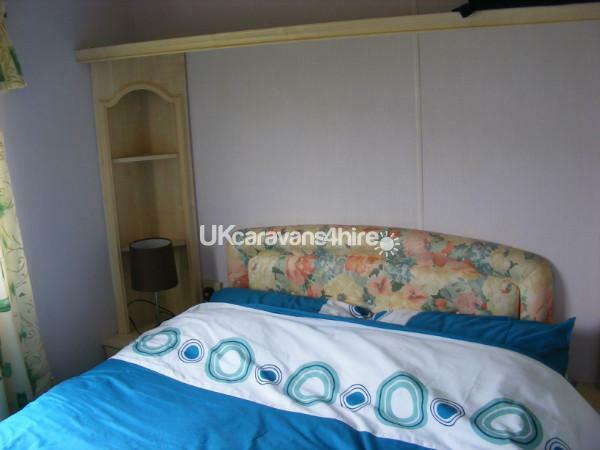 All bedrooms have carpets in each room for your comfort. 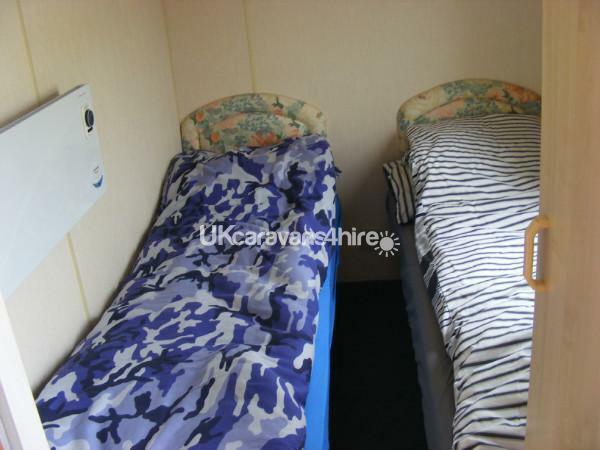 Bed linen,quilts and pillows are supplied for all beds although we do not supply towels. 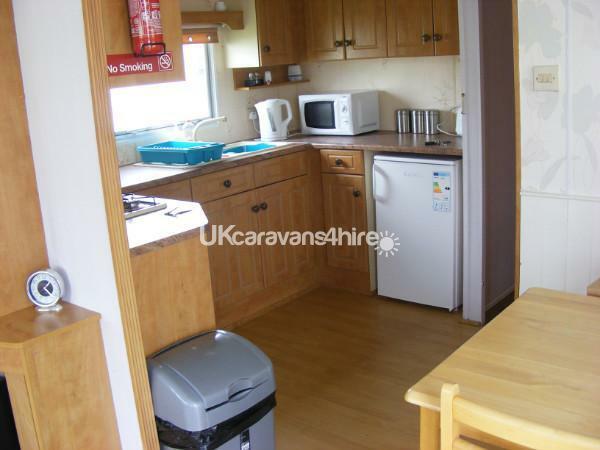 The kitchen is fully equipped for all your self catering needs. A small selection of cleaning products are available during your stay. 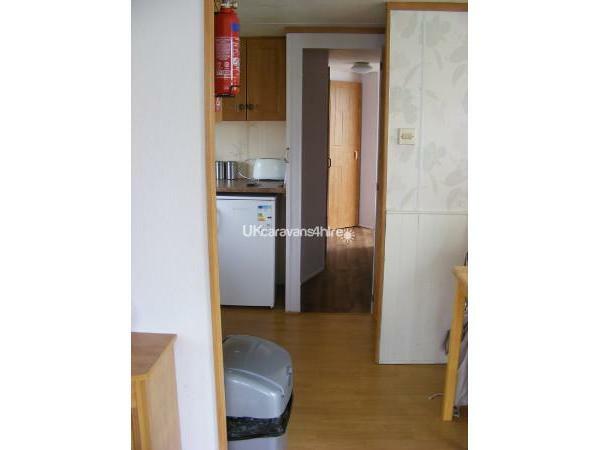 We also have an iron and ironing board for your convenience. 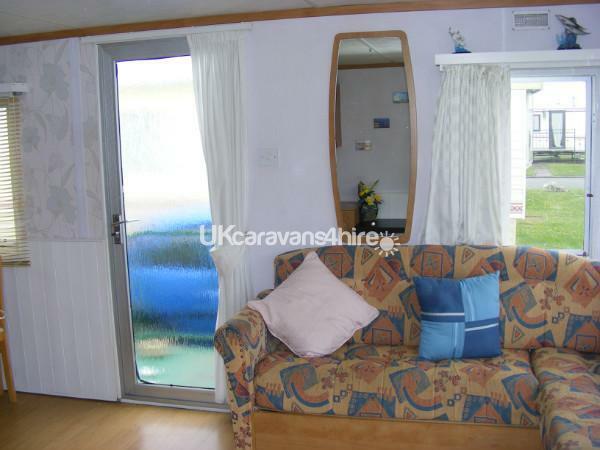 The living area is very spacious and can comfortably seat eight people. 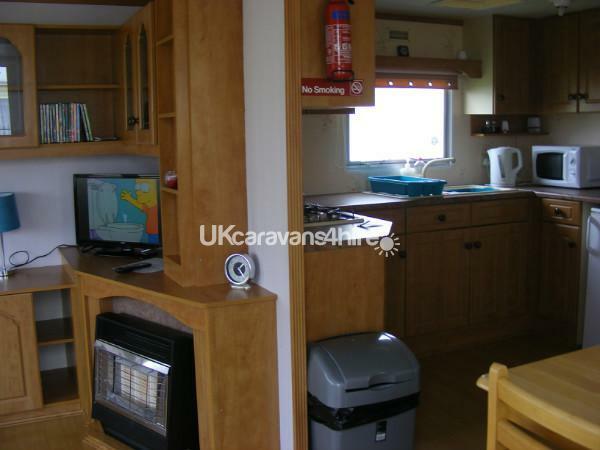 It has a laminate floor, gas fire, a separate table & chairs, flat screen TV with free view, a DVD player & a selection of DVD's and books. From the living area you can access the veranda which is equipped with table, chairs and sun loungers and it has solar lighting so you can sit outside in the evening. We do ask that you let us know that you are bringing your furry friend with you. We provide feeding bowls for your dogs. There is a dog walking area on site and the beach is only minutes away. 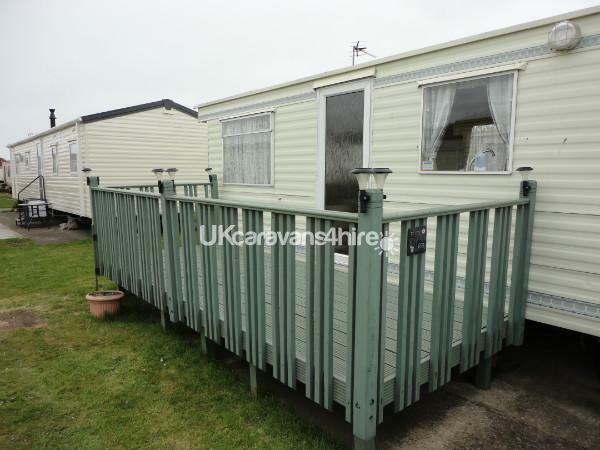 We are flexible on the number of nights we rent the caravan out and offer short and long term lets where availability allows so please email us for availability. Lyons Robin Hood is perfectly located for the whole family to explore what the local area has on offer as well as the rest of North Wales. The public transport links are excellent with a main bus route just outside the park gate and railway station only a short drive. The park has its own onsite entertainment for all the family! Sherwood sports bar which is child friendly and serves delicious food & serves excellent Sunday carvery. Entertainment passes are purchased from reception on arrival.